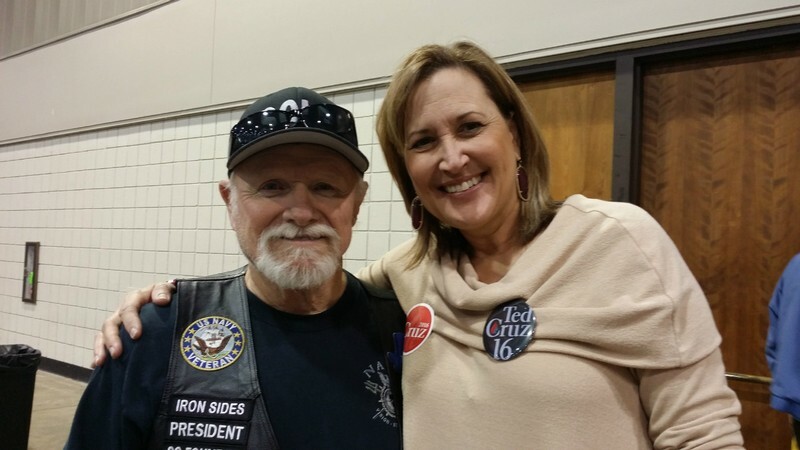 I spent the afternoon at the TCGOP Straw poll on Saturday. There were two reasons to be there. One) was to wear my cut, it makes one stand out in a crowd of non bikers, brings in the curios and picture takers. Two) As a political activist I was there to represent the Biking community, seek out State Legislators and inform the uninformed. Especially on Biker issues and even Twinn Peaks all they know is what they've read in the news papers. ​I found it only takes a few minutes to set the records straight and get my two cents worth in. I made sure to bring up the things I've learned from my research like the war on drugs and LE corruption, motorcycle profiling, for profit jails and asset forfeitures. There are representatives that are already working on some of these issues. We've gotta get on the bandwagon and push for Bills to be put forward. You see we have the Constitution and truth on our side. State Senator Konni BurtonThere are politicians we can work with like State Senator Konnie Burton District 10 who I've known for years. I was pleasantly surprised to find she is going to be speaking at the Civil Asset Forfeiture Summit @ Institute for Policy Innovation 1320 Greenway Drive Irving, TX 75038 Tuesday, February 9, 2016 from 4:00 PM to 8:00 PM (CST). ​TX State Senator Don Huffins District 16 will also be speaking at the Civil Asset Forfeiture Summit. He came for an interview in our studio in the last election cycle. I had a great talk with Tx State Senator Birdwell as well, he thought he knew about things until I arrived. We had a good back and forth. In the end I had him agreeing on many points.. Senator Birdwell spoke to us at the National Coalition of Motorcyclist in Austin. 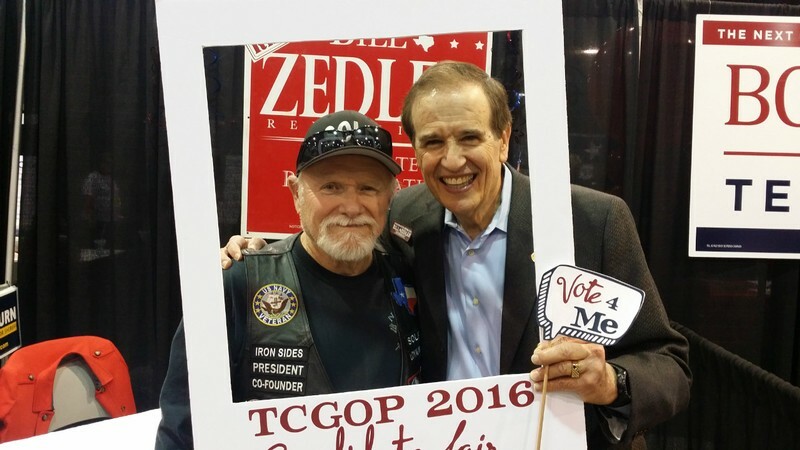 Really a good guy..
TX State Rep Bill Zedler has been one of our staunch supporters over the last two years. He co sponsored or Dead Red Light Bill in the 84th Legislature. He's agreed to come speak to us at our First Legislative Strike Force Region 2 meeting which is tentatively set For Feb 6th (watch for time and where). Bill also helped create a video called Texas State Legislature 101, it was created to help those that may not understand just how the State Legislature works. He's been a great help over the years. Its a lot to take in in 30 min, if your new to this game watch it several times. Texas legislature 101 - US Defenders legislative Strike Force from Texas Biker Radio on Vimeo. I can tell you the current two day a week Sheriff Dee Anderson in Tarrant County has never given Bikers the time of day and won't ever. When staging a large event or ride it's been our experience that we get shuffled form one department to the other then back to the first. Even if your trying to do a courtesy call to let them know what your planning. They are the complete opposite of the cooperation we get from the Dallas Sheriffs Department. 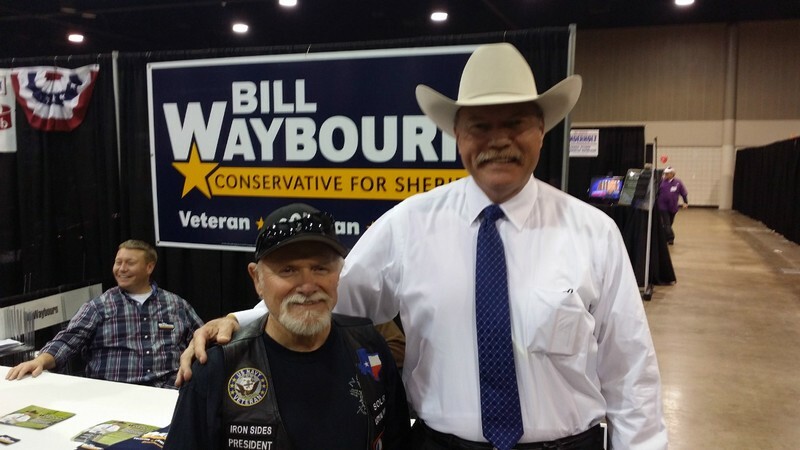 I got to talk to Bill Waybourn about our concerns which I will talk about at the upcoming Legislative Strike Force meeting in Feb.. Bill is a Constitutionalist and 2nd Amendment advocate. You'll want to hear this so be there..It will surprise you.